This book contains seven routines with all the original 192 illustrations digitally re-mastered by a graphic artist with additional historical commentary and comedy material developed by George's son, Alan Sands. 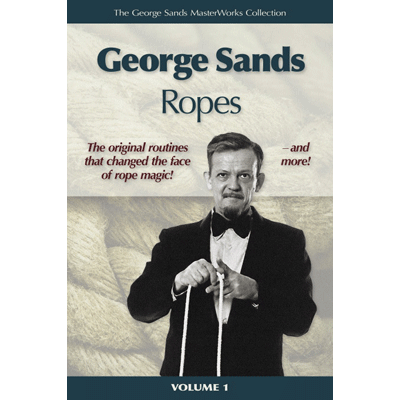 Learn the two classics: Sandsational Rope and Sands' Ropesational - the same routines learned by thousands of magicians, reworked into original routines by Daryl and Michael Finney. Designed to sit on the shelf next to your Tarbell set. Plus, you will learn five more routines sure to become part of your favorite repertoire for life. The accompanying Download contains original footage by George performing live for (1) lay audiences, (2) performing and exposing the routines live at a lecture and (3) again performing and exposing the material move for move directly for the camera. "This book is a MUST for anyone wanting to do ropes."